I've posted on these before, but this year we added a fall twist. 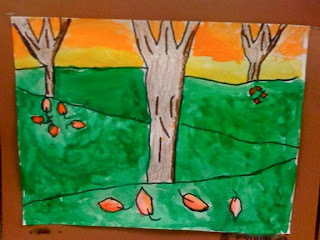 I had the students add the leaves, and make sure they were doing it in perspective. I think the results were quite nice! 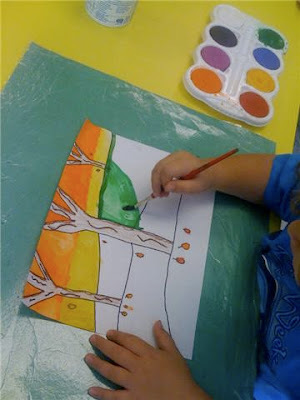 This year, we used tempera cake's to paint them versus oil pastels---and I think the color was really vibrant. Very nice tutorial, it looks very good and not that difficult to do.